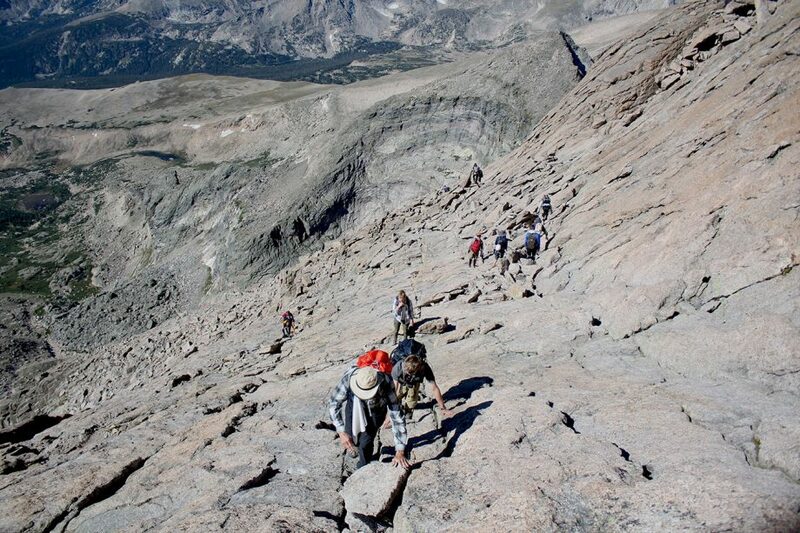 Challenge yourself by ascending one of the most famous of Colorado’s “Fourteeners,” on this 4-Day Long’s Peak Hike. 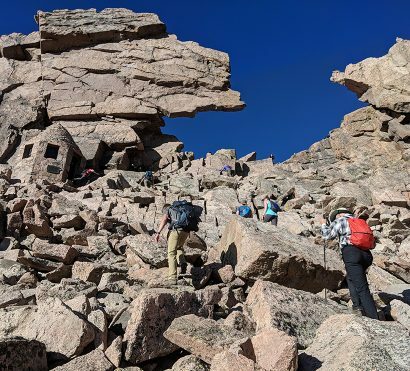 This, the highest peak in Rocky Mountain National Park, is “not a hike,” according to the Park Service, as it contains so many elements of mountaineering and it is much more challenging than even AOA’s most challenging Grand Canyon hikes. 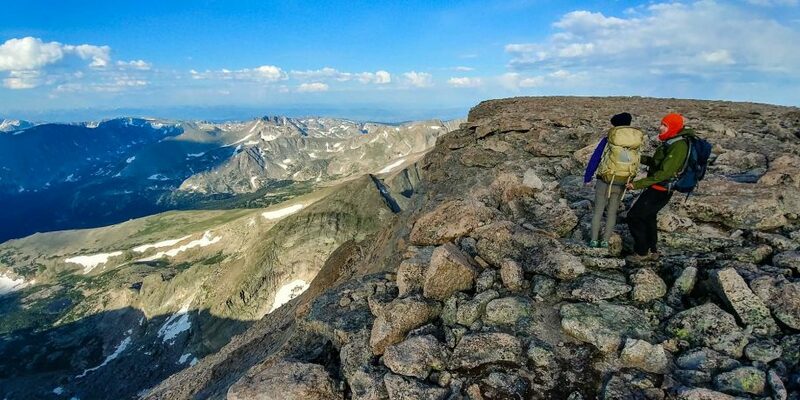 Although it is possible to summit Long’s Peak in one long and grueling day, it’s much better enjoyed on an overnight backpacking trip. Why not explore this beautiful alpine setting a little more? Spend time hiking to sparkling lakes and getting acclimated to the high elevation so that your fourteener ascent is safe and memorable. 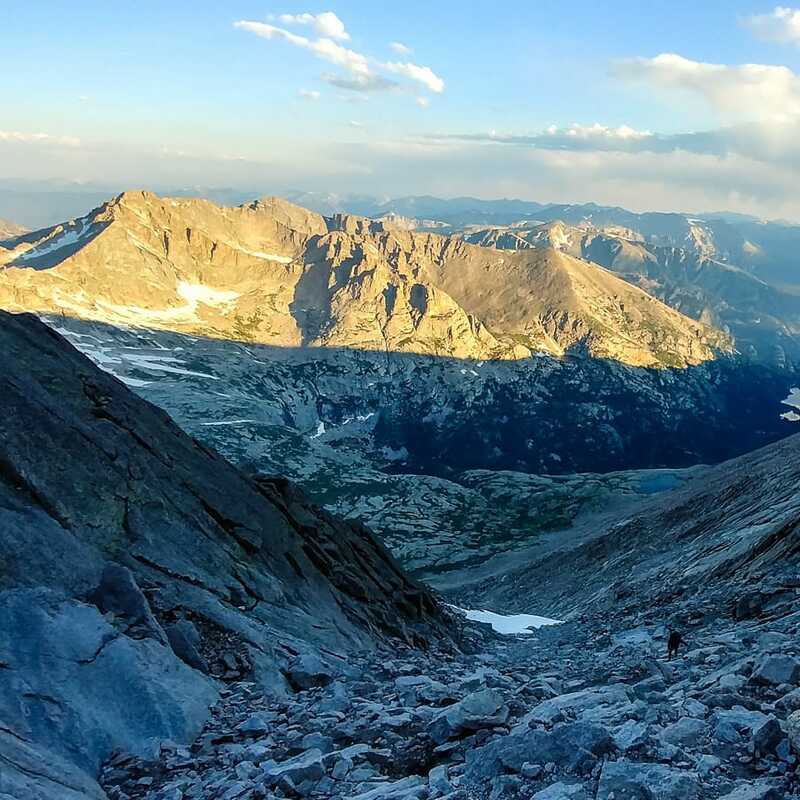 AOA’s route is a little used alternative to the common Long’s Peak summit route, making for the perfect 4-day exploration and ascent of this iconic peak. Permits for Rocky Mountain National Park are issued on March 1st each year. Dates listed here are subject to change until permits are issued. We will post our permitted available trip dates shortly after March 1st. 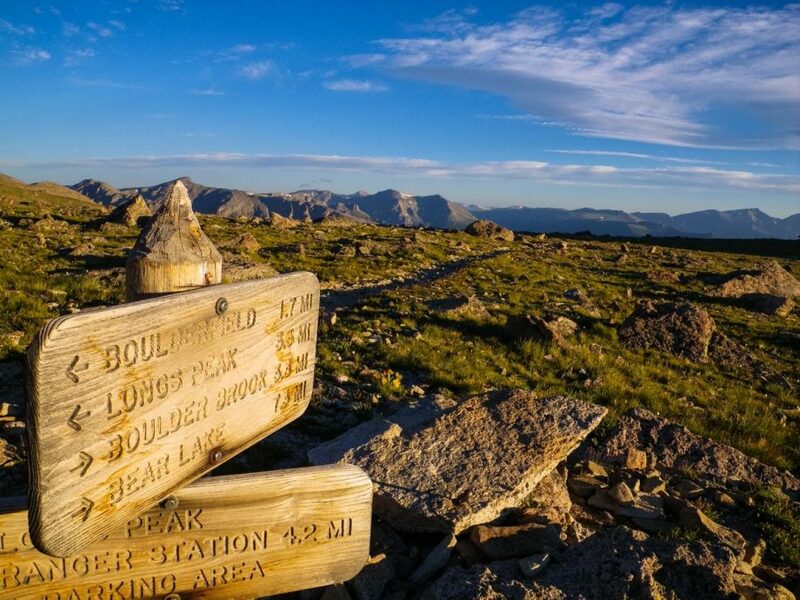 Summit Rocky Mountain National Park's only peak above 14,000 feet on this adventure! Over 4 days, hike high into the Rocky Mountains, away from civilization to a place where the sounds of nature grow louder and the views more stunning with each mile. 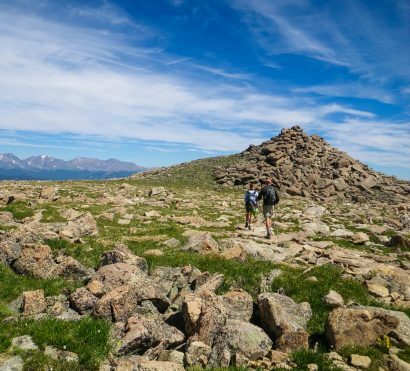 This trek will be a challenge, but with the guides at your side to cook up delicious backcountry meals and provide support the entire way, you’ll be prepared to summit the only 14er in Rocky Mountain National Park. Our expert guides encourage, enable, and support you with their local knowledge and tips to set you up for success on summit day. Along the way, enjoy stunning views, carpets of wildflowers, great trailside and camp meals, wildlife encounters, and the camaraderie of shared adventure. Trip End: Day 4 at Estes Park Visitor Center in Estes Park, CO between 11am-1pm OR Holiday Inn Express Boulder, CO between 12:30pm-2:30pm. Your trip begins today either at our host hotel in Boulder, CO, or at the Estes Park Visitor Center in Estes Park, CO. Here you will meet your guides and fellow adventurers. 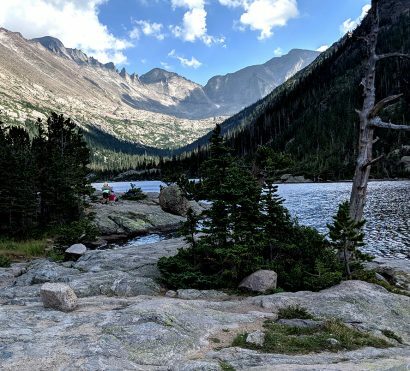 We’ll park cars, load into our van for the transfer into Rocky Mountain National Park, and arrive at Glacier Basin Campground by mid-afternoon. Upon arrival at camp our guides will distribute any rental gear, demonstrate how to properly set tents up, and assist with overall camp set-up. 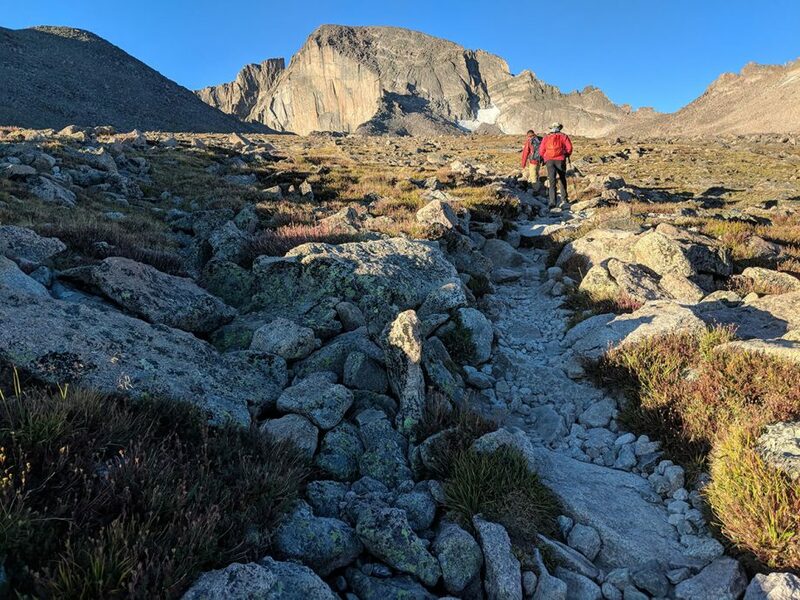 The group will then get together for distribution of group gear, pack loading and fitting tips, and an in-depth orientation to prepare everyone for our backpacking adventure in beautiful Rocky Mountain National Park. We will talk about the Colorado hiking trails we will soon be enjoying, the Long’s Peak summit route, and hiking in Colorado generally. Depending on timing and weather, we will explore some of the area before having a hearty and delicious dinner prepared by our guides. After dinner, enjoy a short hike to a nearby lake and then spend some time around the fire as the stars emerge and glitter overhead. Following a breakfast prepared by your guide and steaming hot beverages, we pack our tents, food, and gear into our backpacks, make a quick transfer to the trailhead, and hit the trail! The 2.4-mile trek to our backcountry basecamp follows Boulder Brook through lodgepole pine, spruce and fir, and then into subalpine forest. Along the way we enjoy the cascading waters, diverse vegetation, and awe-inspiring views of the Continental Divide to the west and the Mummy Range to the north. Once we reach camp we pitch our tents, then switch to day packs (or a lightened full-sized pack – your choice) for a day of hiking to Mills, Jewel, and Black Lakes in Glacier Gorge. Magnificent views, waterfalls, pristine lakes, and plentiful wildlife make this a special day spent in the Colorado high country. Tonight, we share a hearty backcountry meal and mentally prepare for our attempt at the Long’s Peak summit tomorrow. DAY 3: Climbing Long's Peak! But it’s not all struggle, sweeping views out across the Great Plains, carpets of wildflowers, soaring hawks and eagles, and trailside treats reward us for our effort. Playful marmots and pikas entertain us during breaks, and after passing through the keyhole we can look down into Glacier Gorge, spotting the lakes we visited yesterday as they shine far below. With luck and persistence, we reach the top at 14,259 feet above sea level. 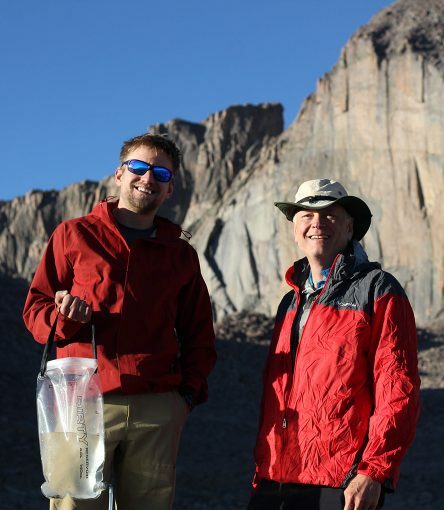 We celebrate our accomplishment at the summit of Long’s Peak, the highest peak in Rocky Mountain National Park. This morning, enjoy a much-deserved rest and sleep late in camp. After breakfast we re-distribute the food and group gear, pack up our camp, and retrace our steps back down Boulder Brook to the trailhead, clean clothes, and a shared lunch in town at a local eatery. We’ve had to leave the crisp mornings and rolling trails of the Rocky Mountains backcountry behind, but over cold beers and hot grub we tell our stories in the warm glow of our shared experience and cement the memories in our minds forever. 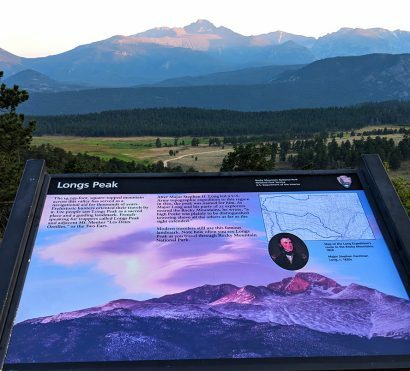 Cell service & Electricity: While backpacking in Rocky Mountain National Park, you will not have cell phone service, you should expect to be unreachable by phone. There is no electricity available. Bring a portable battery to charge your phone for photos. This backpacking trip requires that you carry all you need and a portion of the group gear on your back. Expect to carry about 35-50lbs in your backpack while hiking over uneven terrain at high elevation. In order to make the most of “summit day” this trip requires an alpine (very early) start on day 3. Climbing mountains is a risky business, keep in mind that a Long’s Peak summit is always weather dependent. Bears are prevalent in Rocky Mountain National Park and know that hikers carry food. Because of this, all backpackers must take mandatory precautions to lock up all “smellable” items from hand lotion to snacks in bear-proof cans. This keeps the bears and the visitors safe. It can be a challenge, but our guides will help you make sure your gear and campsite is bearproof.